Awarded to a UVJC member who has offered exceptional service to the UVJC to create “mishpacha” (family). Nominations are due on March 1 and the award is presented at the UVJC Annual Dinner, usually in May. 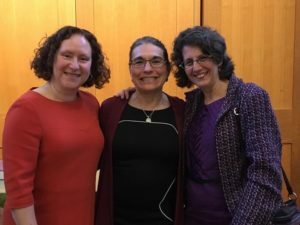 As a member congregation of the United Valley Interfaith Project (UVIP), each year Kol Ha’Emek chooses a congregant to be honored at the UVIP’s Micah Awards Celebration. Micah heroes live into the spirit of Micah’s words to “act justly, love mercy, and walk humbly” by giving of themselves to help the community. Here community may be the UVJC community, the larger local community, or the global community. Nominations are typically due in mid-August and the award ceremony takes place in the fall.